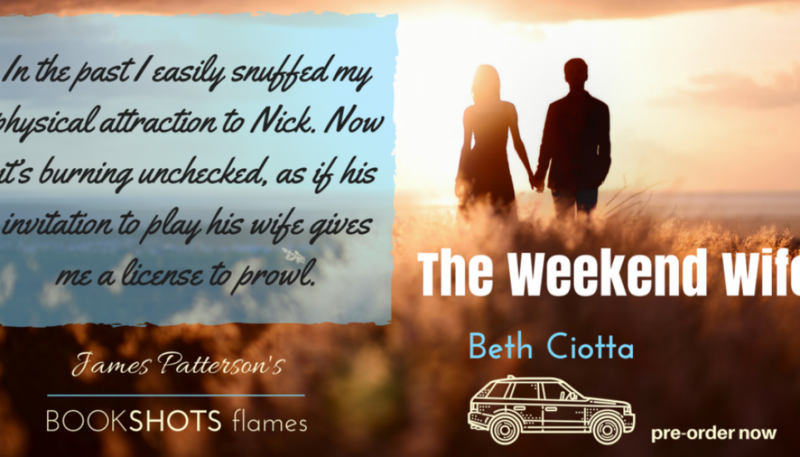 On the list of things I’m excited about… The release of THE WEEKEND WIFE (a James Patterson Bookshots Flames)! I don’t have the cover yet, but it’s in the works! 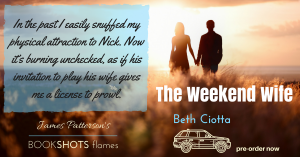 Can’t wait to see what the artistic team at Bookshots creates! Although the official release isn’t until 10/3/17 , you can pre-order now. Here are the links to the digital version via the big vendors. Prefer audio? You can pre-order that too! I can’t wait to share this story with you. Fall will be here before we know it! Hang tight! A Vintage RT Winner! Holiday Hoopla – Daily Giveaways PLUS!